Vistaprint Business Cards: Which Paper Stock Is Best For You? Vistaprint paper stock options for business cards: If you are printing business cards at Vistaprint, you’ll need to choose a card stock. But, which paper stock is best for your business cards? Vistaprint offers four signature paper stocks: glossy, matte, linen, and recycled matte. They also offer two ultra-thick papers: coated, and uncoated. Signature glossy business cards have a really lustrous coating, shiny coating that reflects the light and is really eye catching. 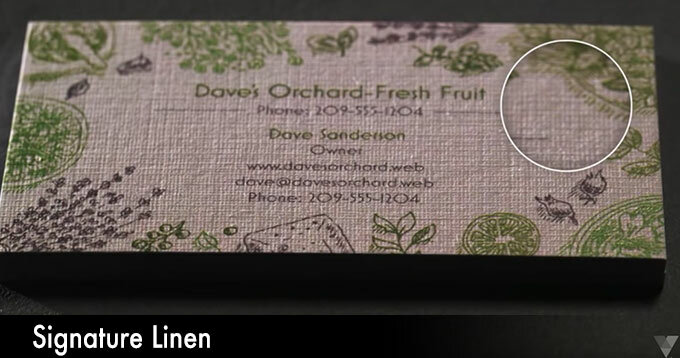 This really brings attention to any images or logos that are on your business cards. The signature matte is a simple but professional look. 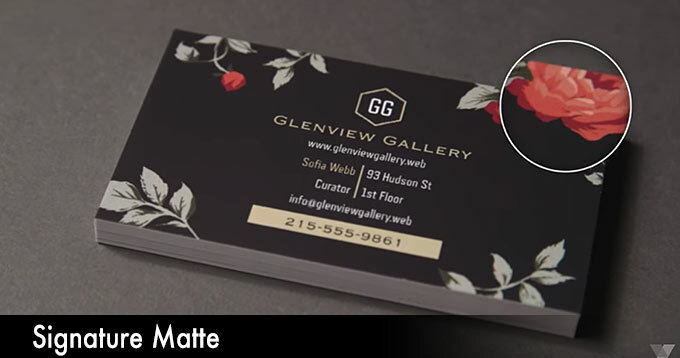 Matte has a dull finish, and doesn’t reflect the light and look shiny like Vistaprint’s glossy business cards. Matte is also great for instances when you need to write on the back of your business cards, which a lot of people find practical. *Do you file your own taxes? Here’s a coupon for 20% off TurboTax! Linen feels different than glossy and matte, and has a cross-woven nature that you feel as soon as you touch the business cards. It’s also visually very impactful because you can see that there’s something different about the card stock. If you’re in the design business, offer personal services, or sell crafts, you might want to consider this very personal, almost hand printed paper stock. Linen paper stock gives a feeling of intimacy and personal connection. *Did you know you can get free samples from Vistaprint? 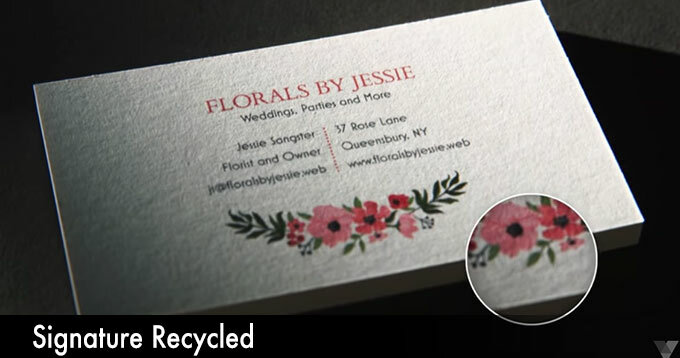 Not only are Vistaprint’s signature recycled matte business cards made from 100% recycled paper, but even the paper mill where they are made uses only renewable energy. *Have you seen their Kraft paper? It’s rough, recycled brown paper stock. 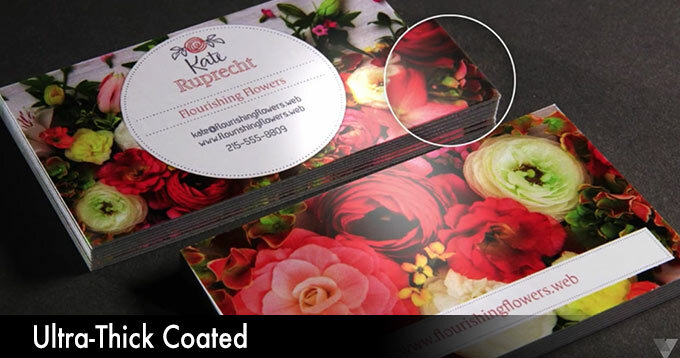 Ultra-thick business cards are the thickest paper stock that Vistaprint offers, and they really make an impact with customers. Vistaprint has an exclusive process that integrates a technology from the paper supplier to the post-printing process to achieve a printing quality that no other company can achieve on such thick paper. Which Paper Stock Should You Choose for Your Business Cards? Every business is different, and no one paper stock is best for everyone. 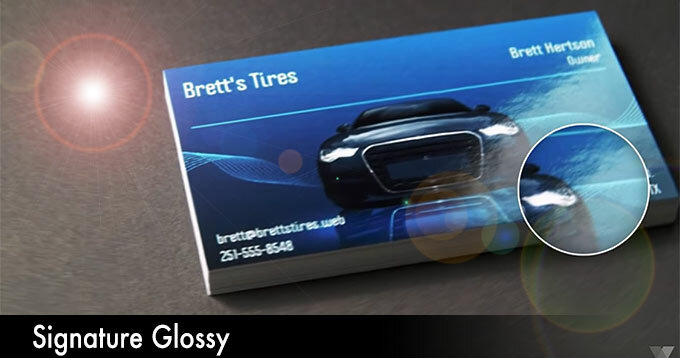 Vistaprint believes that business cards have the ability to tell your business’ story, so how will you tell yours? We recently tried out their business cards, and wrote a review here. *Related: Vistaprint: How long does shipping take? This entry was posted in business cards, vistaprint and tagged business cards, paper stock, vistaprint on September 21, 2018 by kevin.